Authoritarian state witnesses biggest protests since 2010. In most democracies, a two-thousand strong protest would be regarded as small. In Belarus, where strongman Alexander Lukashenko has been in power since 1994, it is far from ordinary. Even more unusual, the authorities appeared to tolerate the protest. Protesters in several Belarusian cities took to the streets to protest against the introduction of a new law taxing the unemployed. 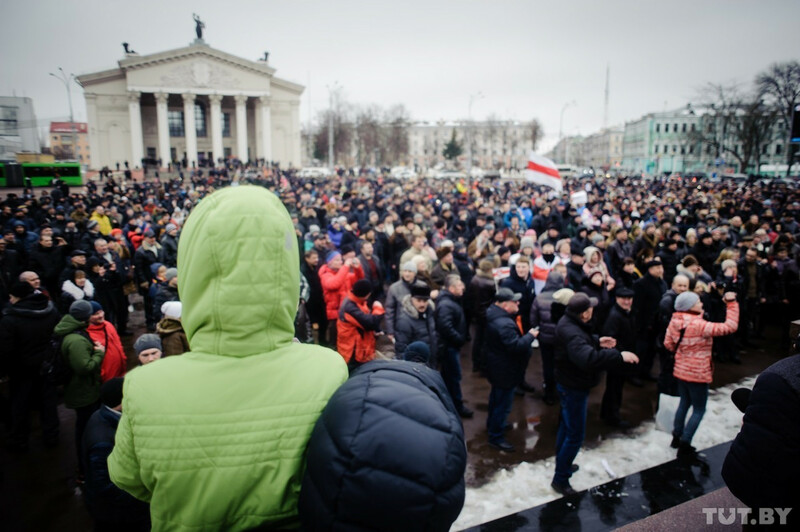 Two thousand people demonstrated in the capital Minsk alone. 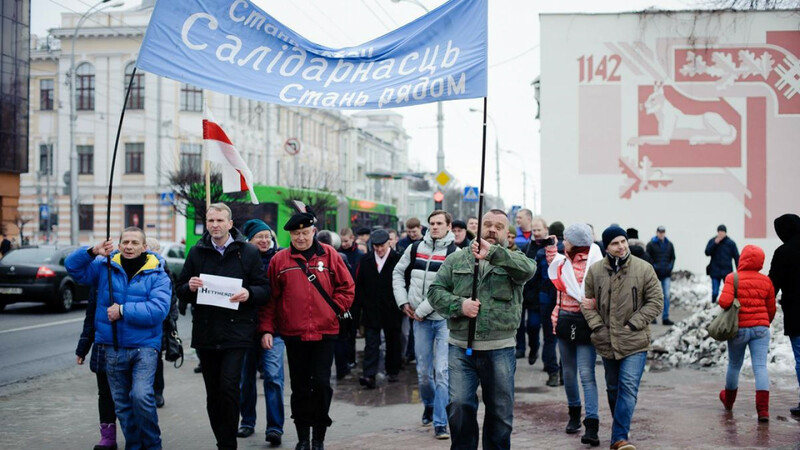 A further 2000 came out in Gomel, Belarus' second city near the Russian border. Hundreds others marched in other cities. 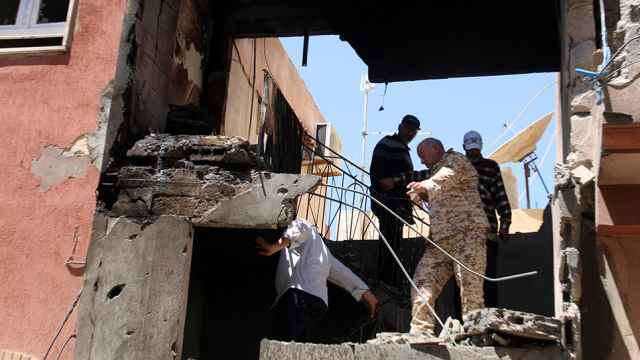 It was the largest protest since the 2010 anti-government demonstrations, which led to mass arrests, a bloody crackdown and the isolation of the regime. It comes at a tense time for the Belarusian authorities, engaged in open clashes with their closest ally, Russia. 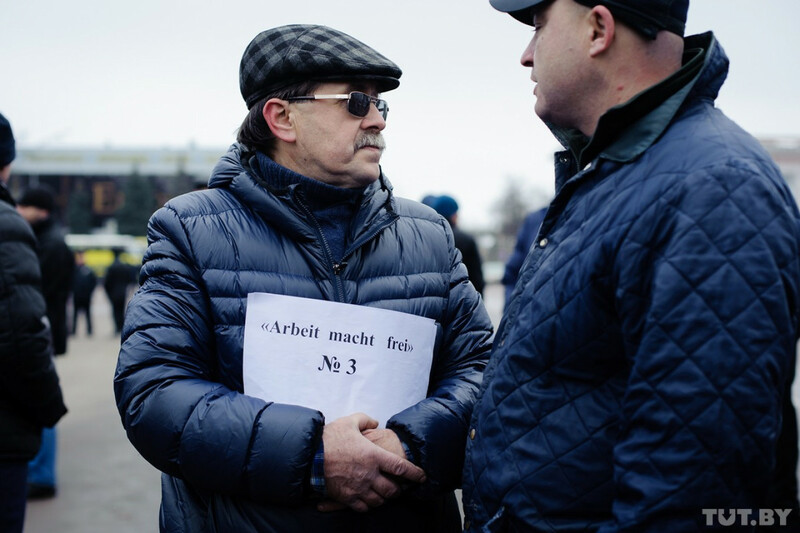 Widely known as the “Law Against Social Parasites,” the presidential decree would require Belarusians out of work for over 183 days per year to pay $250 to the state. This is equivalent to more than half of the average monthly salary. Belarusian tax authorities say around 470,000 people would be obliged to pay the tax. Less than 10 percent have already paid it. “This might look like a small protest from the outside, but they are actually really big for us,” says Belarusian political analyst Viktor Karbalevich. Belarusian authorities have defended the tax as a way of paying for free education. But the fact that it hits the poorest in society has not squared well with many. Belarus is in its third year of a serious economic recession, provoked by a slump in oil prices and the knock-on effect of neighbouring Russia's worsening economic problems. Most Belarusians are feeling Moscow's recession: many have relatives working in Russia and sending less cash back home. “Belarus is in a similar position to Cuba after the Cold War,” says Belarusian scholar Gennady Rudkevich. Russia has been unwilling to provide the same economic assistance to Minsk given its own financial recession. If the Russian economy improves in 2017, as it’s projected to, Moscow will probably restore its assistance to Belarus. “It’s harder to predict what happens if the Russian economy worsens,” says Rudkevich. Although Belarus' economic downturn has been ongoing for some time, there has been no clear indicator of social discontent until now. State propaganda has been showing events in Ukraine as a warning to Belarusians: protests could lead to a Maidan-type situation, so it’s best to choose the path of stability and stick with Lukashenko. But, three years on from the Ukrainian revolution, the argument is losing its appeal. Unemployment is rising fast and government propaganda looks increasingly helpless. In a country where wages are not always paid and with a large “shadow economy,” the law is highly problematic. Many Belarusians are also employed unofficially, which possibly makes them liable for the tax too. The fact that so many will be affected, coupled with the insulting word “parasite,” brought people to the streets. "The demonstrators think the state should help them through the tough times rather than make them pay more,” says Karbalevich. All of this has put Belarusian authorities in a tight spot. On the one hand, Lukashenko cannot suppress these protests like he has done in the past — and he seems to recognize this. Minsk is trying to normalize relations with the West and demonstrate, particularly to Brussels, that it is able to liberalize. “Repressions would be very bad in terms of relations with Europe,” says Belarusian political scientist Alexander Klaskovsky. Even if authorities wanted to lock up demonstrators, it would backfire domestically. Previous anti-government protests were mainly staged by the political opposition. Then, it was easy for the police to round them up and throw them in prison. But cracking down on ordinary citizens is much riskier and would inevitably provoke more protests. “Lukashenko saw what happened to Yanukovich,” says Rudkevich. 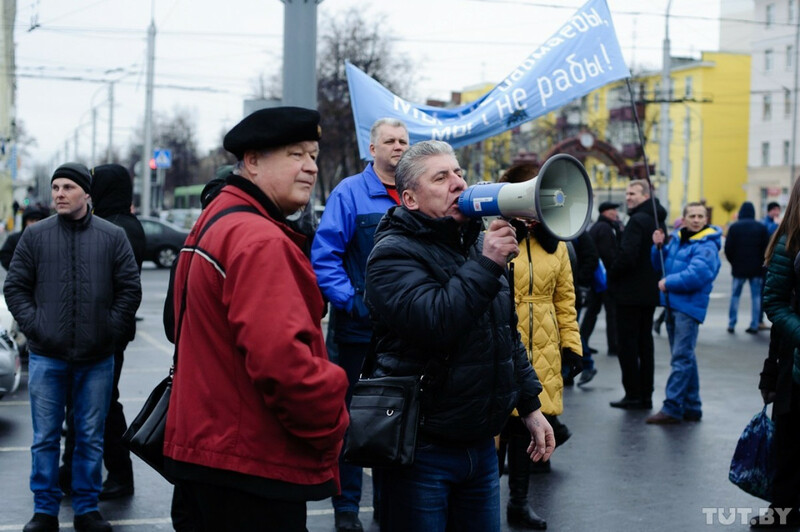 Although the protests have empowered Belarus' opposition movement — with many of its leaders recently amnestied from prison, like Mikola Statkevich, taking part — it has not played a leading role in the protests. Banners like “Lukashenko Leave” and “Zhivee Belarus” (an opposition slogan) were few and far between. 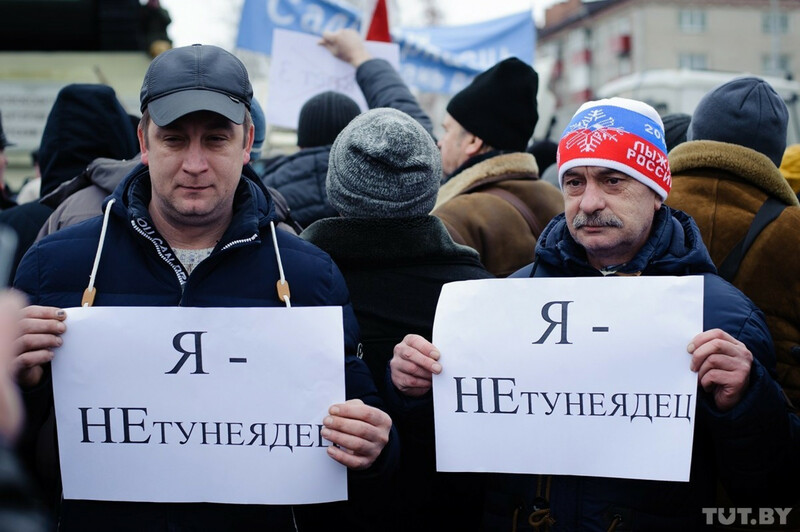 Protests in Belarus that do not question the legitimacy of the regime are much more likely to succeed, something the demonstrators are no doubt aware of. The reasonable solution for Lukashenko would be to bin the decree, says Karbalevich. “It is stupid and nobody needs it,” he says. 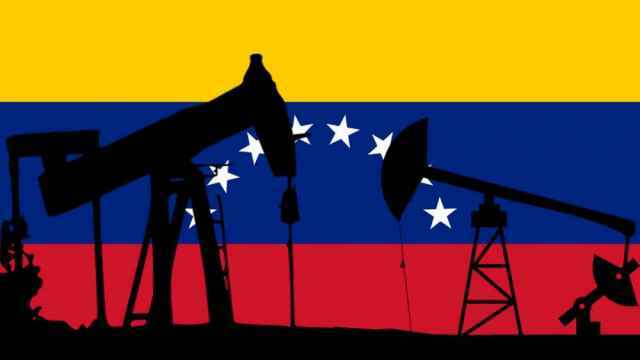 The financial benefit to government is minimal, and a large part of the state apparatus is now forced to work on its implementation. But for Lukashenko, psychologically, taking a step back is impossible. Lukashenko is facing crisis of falling living standards and growing social discontent. 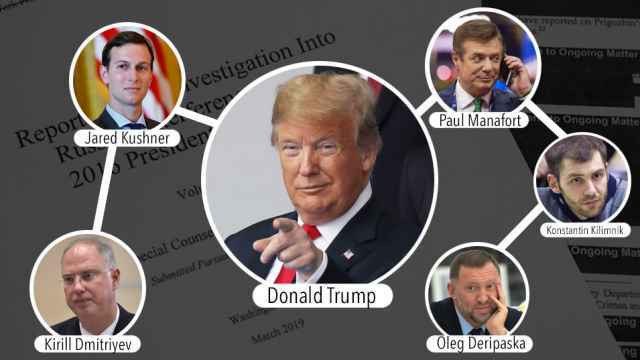 “That is dangerous for a man who says he controls everything,” says Karbalevich.